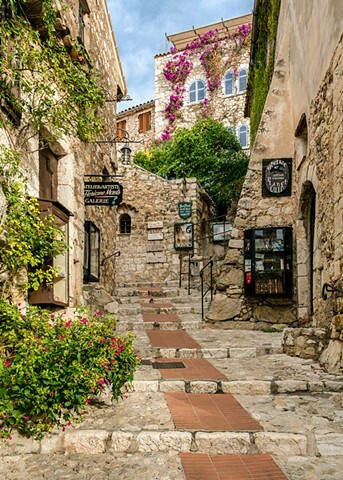 Eze Village in the south of France is a picture perfect medieval walled town high on a hill. What draws me to the old walled towns are the ancient architecture, the displays of flowers and greenery and walkways up to interesting views. I love the Bougainvillia that brings a pop of colour to the walls as they meet the sky.